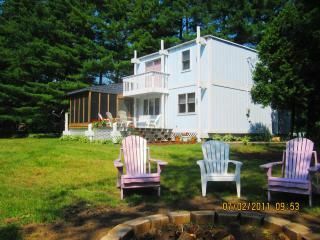 The Sheppard Chalets on Diamond Lake, Michigan - Private/Beach Lake Access/NICE! 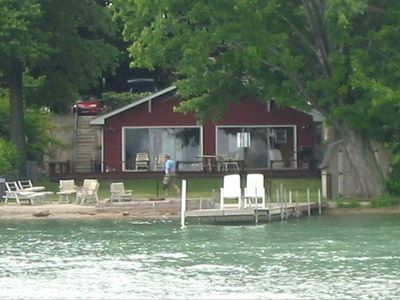 Get a taste of the good life with one of the best holiday retreats southwest Michigan has to offer at the 'Sheppard Chalets'. 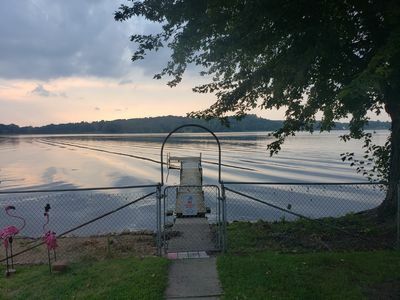 Cass County is blessed with the largest lake of southwest Michigan's Lower Peninsula, Diamond Lake! Just 2 hours from Chicago and only 25 minutes from Notre Dame!!! 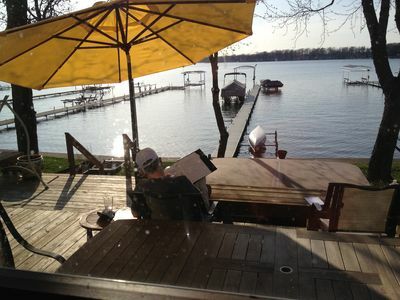 Enjoy the game, the lake and a round or two of golf all in one weekend! Newly remodeled in 2017! Gorgeous! 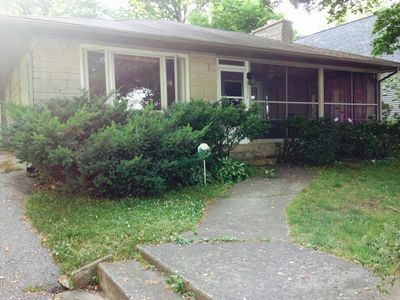 Can sleep up to 12: 4 Bedroom/3 full Bath w/ jacuzzi, approx. 3000 s.f. 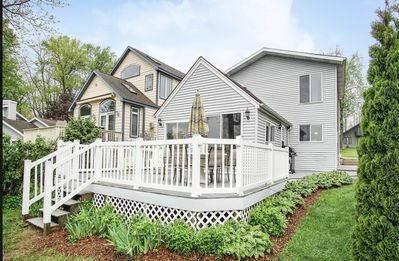 home, that's just a few blocks from our private beach and park area. The DIAMOND LAKE GOLF Course is just a few blocks away! 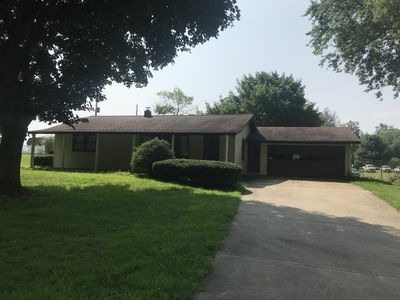 Master bedroom suite with king size bed, ceiling fan, masterbath with steamer in shower; 2nd bedroom with queen bed, 3rd bedroom with bunks and twin bed. 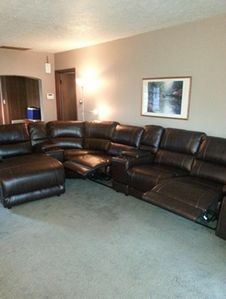 4th bedroom in basement, with 2 sets of queen bunks, and two twins. Amazing bathroom with jacuzzi tub and double sinks. 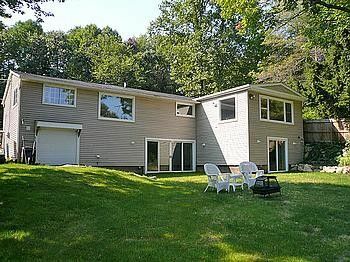 Professional kitchen, with stainless steel appliances, counter with bar stools, next to dining room with lots of seating. 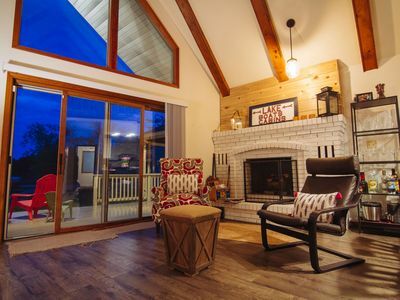 30 x 40 family room, leads to outdoor patio and kitchen with grill, refrigerator, sink, and outdoor fire pit. Walk to Dussell's farmers market, our private beach, or just walk over to the DL golf course and ice cream shop for those after dinner treats! 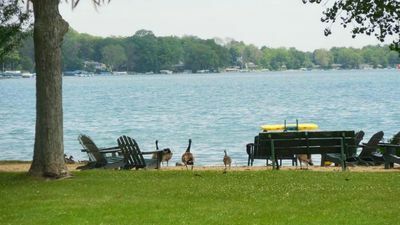 Diamond Lake's shores have sandy beaches and a public marina with a boat launch and various water sports to offer. 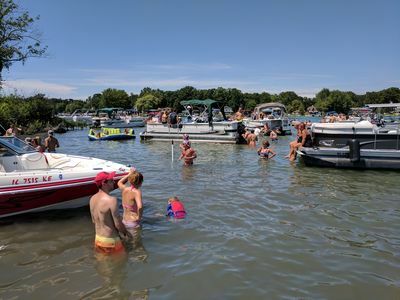 Be sure to check out the Park Shore Marina for all your boating pleasures!! 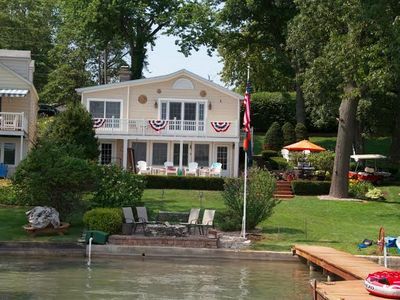 The marina offers all types of water sport rentals, boat launching, and pier rental. Enjoy the newly remodeled Cafe!! 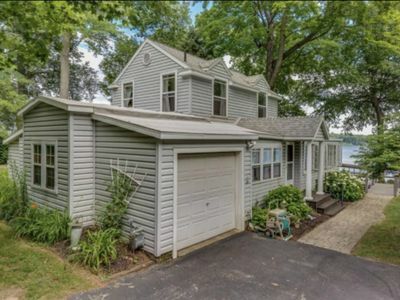 Explore the lake with a ferry ride to Diamond Isle and view the beautiful lake front homes all around the lake. 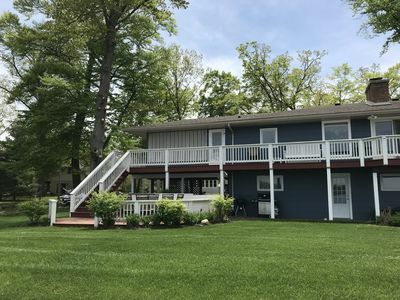 Even golf lovers will have a grand time at your choice of 2 spectacular golf courses, either the new 18 hole Park Shore Golf Club or the 9 hole Diamond Lake Golf Club. Bring your bikes for a scenic tour around beautiful Diamond Lake! The historic town's downtown area and neighboring Dowagiac has all the amenities with plenty of options for gourmets and shopaholics alike. The town of Jones in St. Joseph County has the spectacular Swiss Valley Ski Resort (just 10 miles) with several lifts and tall skiiing peaks for all the fun of skiing or snowboarding. 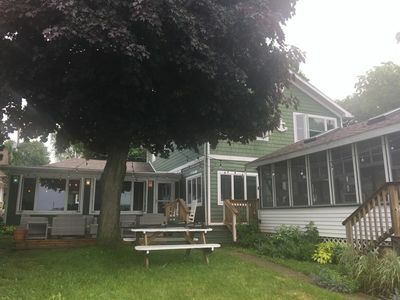 And those with a taste for wine will enjoy the fact you are staying in the Michigan Wine Country and most wineries offer fabulous wine-tasting tours! 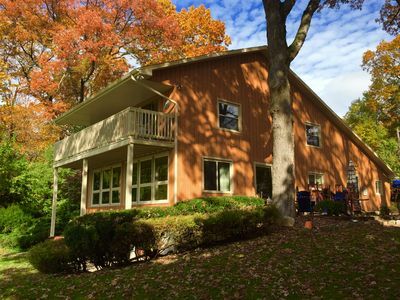 A 25 minute drive will get you to Notre Dame and South Bend, Lake Michigan, and Amish Country in Shipshawana. Enjoy a fun day of shopping or enjoy the brand new water park!! 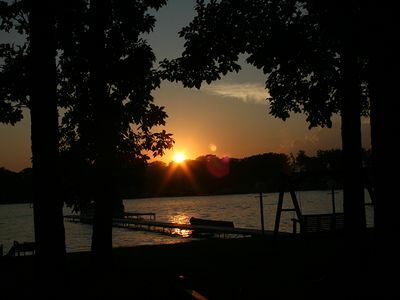 Absolutely one of the best kept secrets in the mid-west....Diamond Lake is only two hours from Chicago!! 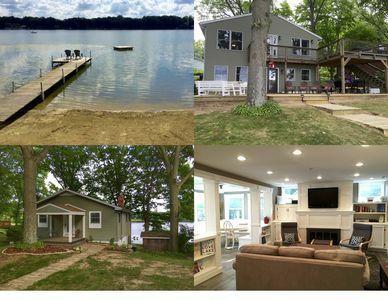 Make yourself at home...you will absolutely fall in love with this romantic Michigan get-a-away and want to come back year after year!! 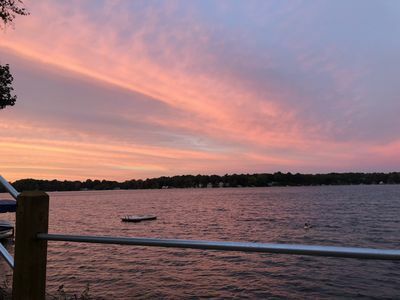 Recreation apart, simply relax and enjoy looking at the sunset and sip on a sparkling wine while hanging out at the park wondering which of the two - the Michigan wine or Diamond Lake's waters - glisten and sparkle more! Please email me for any questions....thanks for looking! 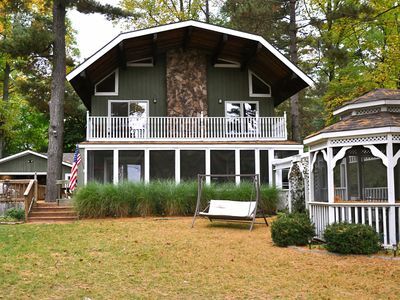 Retro lake cottage magic in beautiful Dowagiac, Michigan!